Known for being extremely dangerous, asbestos remains present in many buildings and other equipment: a large number of elements and structures containing it are able to emit particles. Thus any asbestos removal work requires the use of asbestos respiratory protection devices like an asbestos respirator and proper filters. Asbestos is not a gas, it is dust composed by very thin and extremely volatile fibers, 400 to 500 times thinner than hair. This substance can be found in pipes, corrugated plates, insulators and so on. Any intervention on these materials can cause dangerous dust release. Which is why it is important to use asbestos respiratory protection. When inhaled, asbestos fibers settle out in lungs (pulmonary alveoli). Throughout and after chronic exposure, this dust can cause severe respiratory diseases. The IARC - International Agency for Research on Cancer - unveiled the causal link between asbestos exposure and larynx and lungs cancer risks. These diseases appear 10 to 20 years after chronic exposure to this substance. The use of an asbestor respirator is essential to avoid these dangers. National bans of asbestos are already in place in tens of countries worldwide. From the first council directives in 1983, the European Union regulated, through several articles, the risks related to asbestos exposure at work. Today, the use of asbestos in new products is banned. Marketing and use of products containing asbestos is also prohibited in the EU. Concerning asbestos respiratory protection (for asbestos disposal), there are three dust levels. 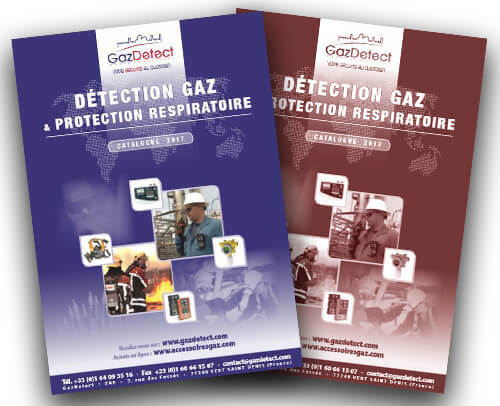 These levels were created to sort out the different means of protection to implement (asbestos respirator, PAPR and filter type). Work equipment has to be adapted to asbestos dust level. *Since 2015, current OEL related to asbestos exposure has been set to 10 fibers per liter - 10,000 F/m3 - instead of 100 earlier. Level 1 (low concentration): Negative pressure devices. 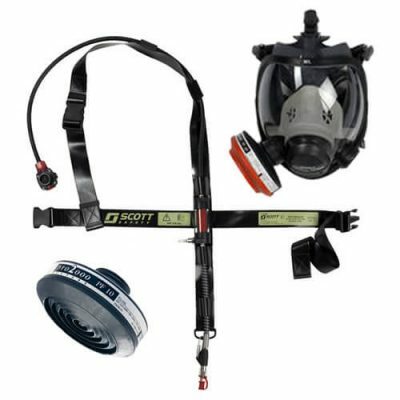 Half masks like the Profile 40 or asbestos full face mask like the Sari or the Vision equipped with a P3 asbestos filter. Level 2 (intermediate concentration): powered air purifying respirator with a minimal flow of 160L/min like the Asbestos Proflow or the Phantom Vision equipped with one or several P3 cartridges. 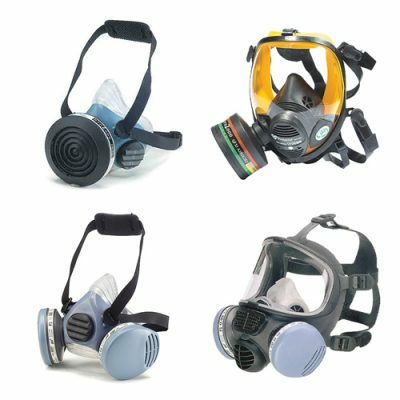 A whole range of asbestos respiratory protection equipment based on dust levels: from the classic asbestos respirator mask for level 1, to powered air purifying respirator for level 2, and asbestos supplied air respirator systems for level 3. 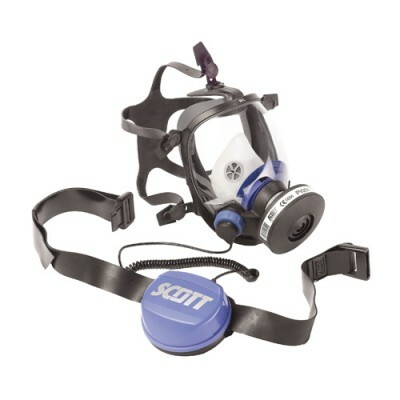 Negative pressure respirators provide efficient protection against level 1 asbestos. Negative pressure means that users make the breathing effort. Level 2 positive presssure devices offer a better air flow than level 1 positive pressure devices. They're ideal to guaranty safety during asbestos removal. Level 2 protection : exposure between the PEL and 60 times the PEL. Minimal air flow : 160 liters per minute. Ideal for level 2 long absestos removal applications. Especially designed for asbestos removal applications, the Proflow 2 SC 160 powered air purifying respirator is well suited for long-term interventions and provides optimal protection against asbestos (asbestos dust levels 1 & 2). Two P3 particles filters & TM3 full-face mask. Electronically regulated air flow (160L/min). 10 hours autonomy (waterproof battery and fast charging). Low battery and filter obstruction alarm and display. 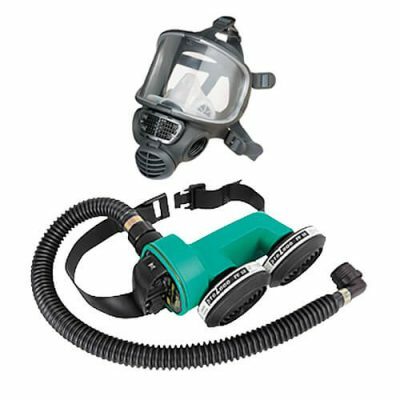 Especially designed for asbestos removal and polluted sites applications, the RAS supplied air respirator for asbestos is a positive pressure respiratory protective mask that provides unrivaled protection against asbestos dust particles. P3SL filter added to the breathing air supply. Asbestos removal specific design (for decontamination and hazardous area exit). Automatic activation from first breathing intake. Alert whistle in case of breathing air supply hazard.